Just off of the edge of the Antarctic Peninsula we made a stop at a little islands called Danko Island. Like most of the places we stopped at the beach was filled with penguins. From the beach, little penguin highways trailed up the hills to rockeries where they made their nests. Generally the penguins stay clumped together in groups. However this one seemed to like its view, and nested all alone on the slope. I shot this on a hike up to the top of the island. I had to sit there for a while to get the pose that I was looking for, but in the end it worked out. One of the best Antarctica shots I’ve EVER seen! Great pic man… I really loved it when they were on top of the mountain just hanging out by themselves! Love this picture! I’m a penguin junkie! Fantastic photo. I hate the cold, but these posts on Antarctica makes me wanna go somewhere colder than where I already live. Brilliant photo Brendan. epic penguin shot! I’ve been wanting to visit Antarctica since I was a teenager, and my father worked there (at McMurdo Base). 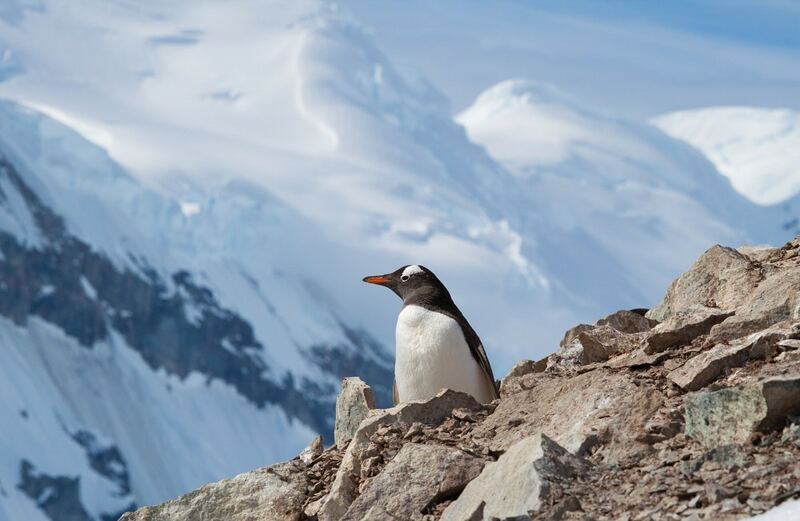 It’s the last continent for me to explore… Thanks for sharing your Antarctic adventures! I love penguins so much. This is a great shot! Fantastic shot! I am also surprised to see such high mountains in the background. Where in Antartica is this? Penguins in Antarctica! That has always been in my to do list. Amazing photo!